Everyone loves a good bargain. The cheaper it is, the happier it makes you. 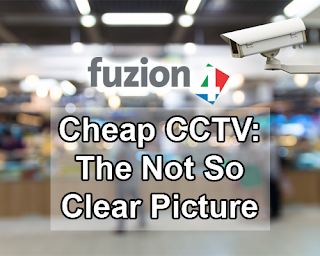 But when it comes to CCTV, does cheap really make you cheerful? To answer this question, we first have to look at a couple of options available on the market. One being “cheap and cheerful” and the other a higher ticket item. Analogue CCTV Systems have become very cheap to buy as there are a lot of providers on the market, but, their picture quality is outdated. Night vision - You can see the burglary happen even on the darkest nights. Weatherproof cameras - You can catch burglars in the act, even in the unpredictable British weather. Analogue CCTV can be a good option for small buildings such as houses where the small distances involved can still enable a reasonable and useable video to be recorded. However, Analogue CCTV systems do not offer enough to businesses. When you have to record footage of a larger area, the picture starts to become blurry and grainy. The faces of the burglar cannot be clearly identified and you cannot make out the number plate of the getaway vehicle. This can be vital in catching the burglar. Number Plate Recognition - Some CCTV systems are able to read number plates and then check a database of number plates. If the number plate is on the database, the system can open an automated gate to allow access to the vehicle and deny access to those that are not in the database. This prevents unwanted visitors in and out of working hours. Item Recognition - The system can monitor a room and if something is removed from the room the system will note the change and send an alert to security or the owner or person responsible for security. Smart Tracking - HD CCTV is able to pick up on movement and then track it. If a burglary takes place, the camera will track them so you do not miss a moment, preventing the burglar from being able to hide in blind spots. If they drive up in a car and then get out of the car, the system will continue to track the movement and hence still follows them. Forensic Detail - HD systems offer a high enough resolution to be able to pick up on facial features and to read car number plates. This is ideal for evidence against the criminal. Quality systems enable you to zoom in and sustain a high image quality. Easy to upgrade - Some HD systems use the same cables as analogue systems. This means that new wiring would not have to be installed. Cheaper pixels - Overall HD CCTV Systems offer more features for your money and are also cheaper per pixel (how the picture quality is measured) than analogue systems. Now let’s revisit the question that we asked at the beginning, does cheap really make you cheerful? 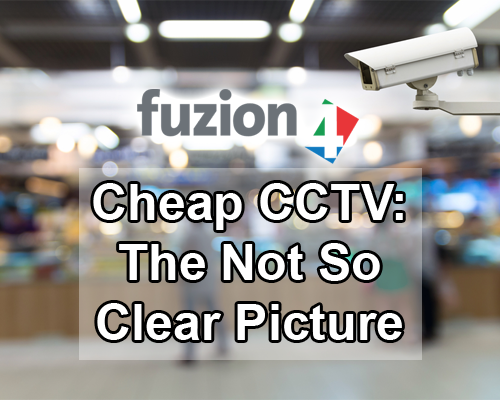 The cheaper Standard analogue CCTV has some excellent features, but for a business, the picture quality just doesn’t meet the requirements needed to really protect your business. HD CCTV has a bigger price tag on paper, but compared to analogue, it is far superior with many more features and much higher quality. It is an invaluable tool for securing your business. You cannot put a price tag on the safety and the security of your workforce and contents of your business. Interested to know more about HD CCTV? Click to watch thisvideo or call us for more information. I like that you are also concerned about security. Thus I would like to draw your attention to secure virtual data room - it is a cloud service where your data is 100% safe.